Our stunning collection of 1200+ Cotton Sateen Quilt Cover Sets are beautifully crafted to give that super soft finish our bedlinen is famous for. 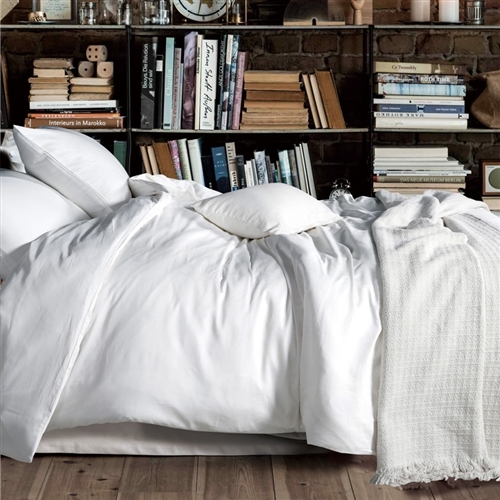 1200TC Egyptian Cotton Quilt Cover Do you love Pure Cotton as much as we do? Bensons 1200TC Egyptian Cotton Quilt Cover are beautifully crafted to give that super soft finish our sheets are famous for. We love this range so much we decided to ALWAYS keep it at the BEST BUY PRICE for our customers. Available in a variety of fashion colours to suit all interiors.